Do you want straighter teeth without the need for metal braces? If so, Invisalign® treatment can improve the alignment of your teeth and bite. This option uses a sequence of clear aligner trays to straighten your teeth gradually over time. Like with other orthodontic procedures, patients may experience slight discomfort during treatment. Here, Dr. James Altomare talks about reducing Invisalign discomfort and offers tips for a successful treatment process at our Skillman, NJ dental practice. How Common Is Discomfort during Invisalign Treatment? The primary objective of orthodontic treatment is to move the teeth. As a result, some discomfort should be expected. However, with modern technologies and methods, tenderness can be kept to a minimum. In fact, recent research indicates that over 30 percent of Invisalign patients experience zero discomfort during treatment. About 50 percent reported minimal soreness. In the majority of cases, discomfort is most evident at the beginning of treatment and the first few days after switching to a new aligner. Fortunately, discomfort during Invisalign is manageable and should not be a cause for concern. In the sections below, we will discuss five tips for reducing Invisalign discomfort. Thankfully, tenderness during Invisalign treatment can be mitigated with over-the-counter pain relievers. These include medications such as acetaminophen, ibuprofen, and naproxen. These will not need to be taken every day. Typically, patients find that these medications are helpful during the first two to three days after switching to a new tray. Soreness can be diminished by applying cold compresses to the external jaw. This should be performed in 10-minute segments approximately two to three times per day until tenderness subsides. If you tend to experience discomfort when switching to a new aligner, try changing them out at bedtime. This allows you to sleep through the first few hours, when discomfort is most noticeable. Any time the teeth or gums are tender, it is best to avoid hard, crunchy, or chewy foods, at least for the first couple of days after changing aligners. We recommend eating softer, cooler foods that require less chewing. This includes things like yogurt, pasta, smoothies, rice, applesauce, and pudding. 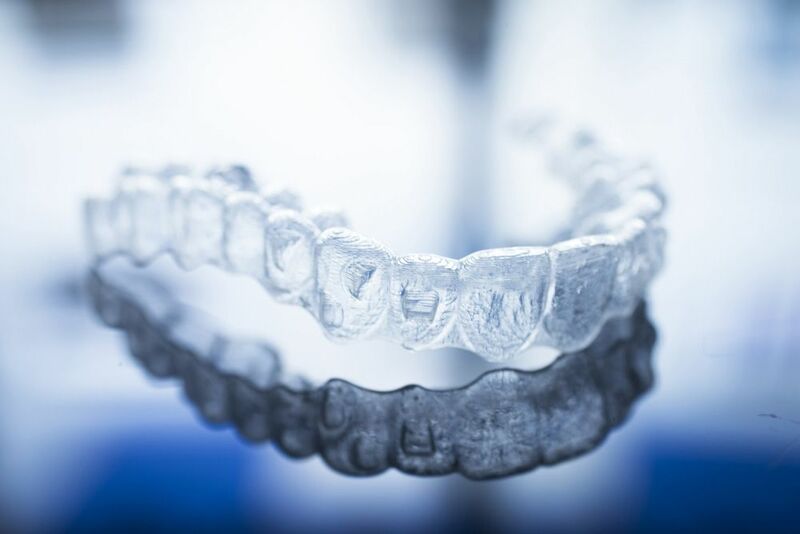 To be effective, your aligner trays must be worn for 22 hours every single day. Therefore, your trays must be left in unless you are brushing, flossing, eating, or drinking. If you leave the aligners out for too long, they will be tighter when you re-insert them. This can lead to unnecessary discomfort. Leaving your trays in as much as possible can help you become fully accustomed to your aligners and complete treatment on time. Are you considering Invisalign treatment? If so, it is important to know what to anticipate during the treatment process. Following the guidelines mentioned here can help you achieve straighter teeth in just 18 to 24 months. To explore your candidacy for Invisalign or to schedule a visit at our practice, call our office at (609) 921-1020 or contact us online anytime.